Very good and helpful training! It was a well-organized session. Atlanta, the most populous city in the United States, is ranked 40th among the world cities and has a competitive economic and IT market. Seeing the rising need for competent software professionals, the KnowledgeHut Academy has introduced certified scrum developer certification in Atlanta. The CSDs are in much demand for their specialized technical knowledge of Agile, and their commitment to continuous improvement. 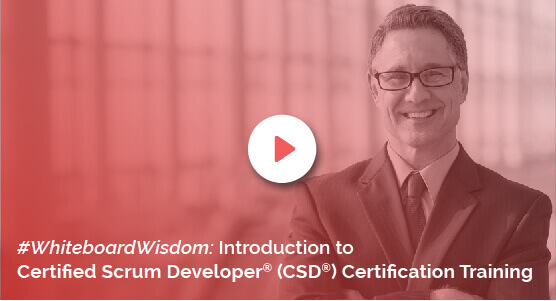 KnowledgeHut's CSD course in Atlanta enables the developer with a comprehensive understanding of Scrum principles grasping Agile engineering skills. The practice sessions involve actual design and code sample procedures. The participants are taught by experienced trainers and the coaching covers the Scrum framework, principles, roles and ceremonies and how to work in the Scrum environment. The institute offers CSD training in Atlanta as a five-day course with the right mix of theory and practice sessions. This certified training will help one grasp concepts in a clear and practical way and get good scores in the certification examination. The CSD certification in Atlanta has an affordable fee structure encouraging many companies and individuals to register for the course.The valuable lectures and the course material equip the learners with the critical skill of designing a framework that would integrate various departments resulting in the maximum utilization of resources. The Certified Scrum Developer training in Atlanta opens doors of opportunities with an ambitious career with higher pay grades. After the successful completion of the Certified Scrum Developer certification in Atlanta, the participant can own profile page on the Scrum Alliance website and can use a specially designed logo to highlight his/her credentials. The course, covering the basics to advanced levels and is taught by expert tutors in the field, is open to any professional in IT, engineering, architecture, project managers, etc.